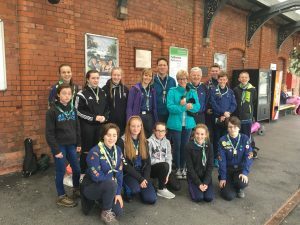 On Saturday 29th July 2017 12 Scouts and 4 Scouters arrived assembled at 7:30 at the Athenry Train Station to start their Journey to NIJam, Crawsford burn, Northern Ireland. This was the Scouts first ever Jamboree and the excitement was high. Two Trains, one Tram and one Mini Bus later we arrived on site. Registration was simple and easy and before we knew it, the tents were up and dinner was started. 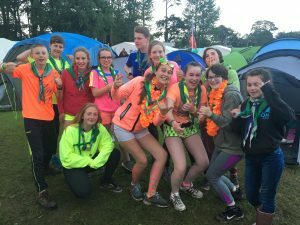 As it was a Jamboree all activities were laid on by the NI Jam including the nightly disco which proved to be a big hit with the Athenry Scouts. Based in Sub Camp Sawel, out Sub Camp Chief, Oliva made sure we all had a great time. Each day involved a different daily/nightly activity with each evening ending with a camp wide disco/rave. The night kicked off with the Opening Ceremony followed by an outdoor Disco with the Athenry Scouts leading the way in dancing. 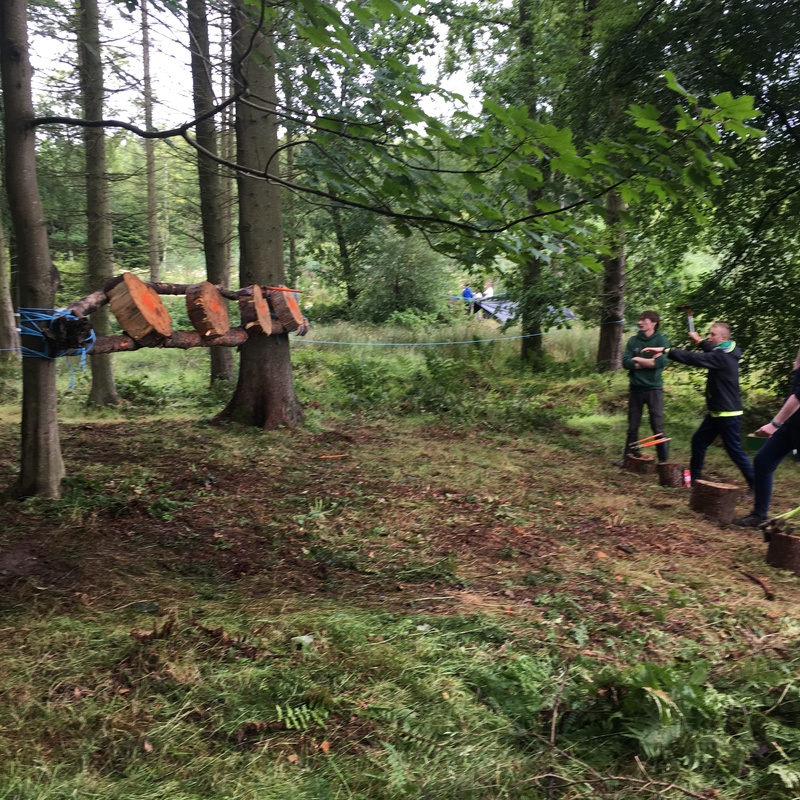 Sunday was a nice chill out day allowing the Scouts to explore the Jamboree and get to know the other Scout groups via on site Games and Trade fair. During the afternoon we were treated to a spectacular lightening storm over the course of 90 minutes with the storm directly over head. 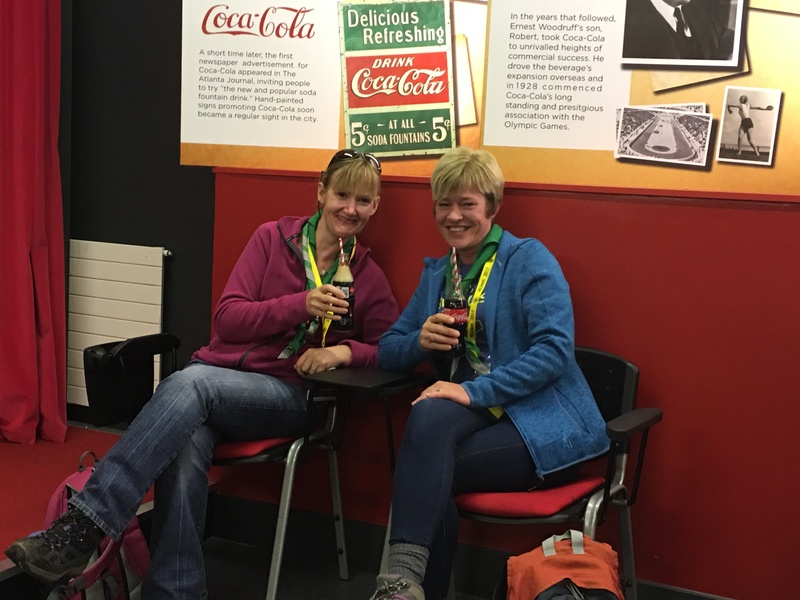 This was an early start with the Scouts up at 6:30 for a 7:45 departure for Belfast City where they undertook a tour of the City Gaol, Historic Trip around Belfast followed by a tour of the Coca Cola Factory where they received a free drink. 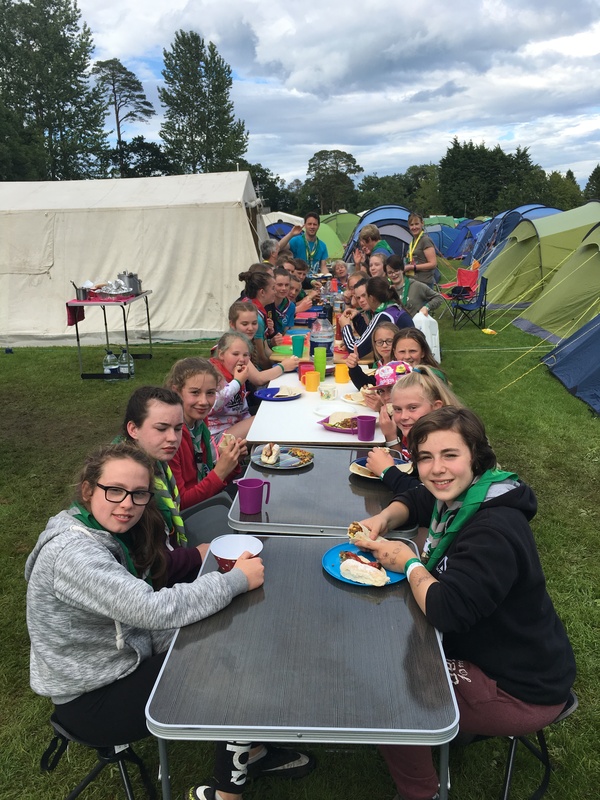 We hosted our the DoonelyClooney Girl Guides for dinner. Monday evening was our Sub Camp Talent Show with the the 19th Galway Athenry performing YMCA, coming first and winning a place in the Jamboree Final. Followed by the nightly disco. Involved a day in a local forest learning several backwoods skills such as fire lighting with real flit/steel, knife sharpening, peg making, tomahawk throwing, spear throwing etc. Evening activities were based around some giant Inflatables followed by the nightly disco. 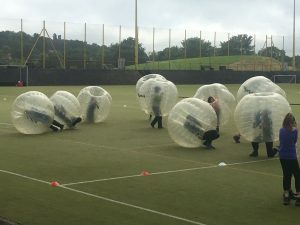 Was another early start with a 8:15 departure from the camp site out to Holyrood Army base for a few day of activities including Laser Tag, Sumo Wrestling Inflatables, First Aid, PT Training and Stretcher run, min games etc. 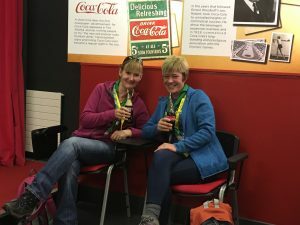 Not only are the Scouts very fit but apparently the Scouters are also very fit. The evening involved our Sub Camp campfire followed by the nightly disco. At long last it stopped raining with our first sunny day. The morning was spent kayaking on a local reservoir were several Athenry scouts managed to capsize canadian canoe ! The afternoon was indoor in a local leisure centre with water slides, wave pool and giant water based obstacle course. The evening involved our Sub Camp party and mini games at each groups site followed by the nightly disco. 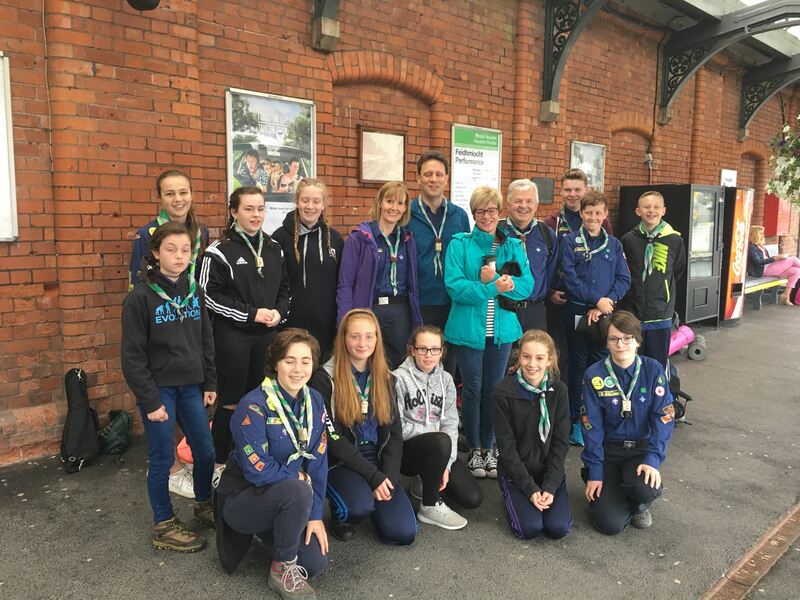 Was day trip to Belfast the train so some shopping and sight seeing with the Scouts enjoying the delights of Belfast city centre. Another early start with a 7:00am wake up to ensure that the camp was struck, site cleaned and an on time departure for Galway. Several hours later, the scouts arrived back in Athenry at 18:00 tired but happy. A full set of photographs is available. This entry was posted in Camping, Jamboree, News, Scouts and tagged Camping, Jamboree, NI Jam, Scouts on September 5, 2017 by admin.